Here's a non-secret: one of the major perks of the freelancing lifestyle is the flexibility to work anywhere. The phenomenon isn’t very surprising, given that it allows people to choose both personal happiness and career success. Recent research highlights that investing on experiences than material goods result into more personal satisfaction, which 94% of millennials seem to agree with, according to this research. A Co.Exist article notes: “Rather than buying the latest iPhone or a new BMW, [Cornell University psychology professor Dr. Thomas] Gilovich suggests you'll get more happiness spending money on experiences like going to art exhibits, doing outdoor activities, learning a new skill, or traveling. Thanks to the internet, practically anyone can choose this lifestyle. However, it takes more than internet connectivity to be able to survive it. You’ve to admit: shunning your 9-to-5 life, along with the drudgery of your routines, will mean you’ll also have to bid goodbye to your creature comforts. Read: hanging out in a club during weekends, meeting some friends over drinks after work, having your parents drop by to pester you whenever you’re sick. Often times, you’d be thrown right in the middle of uncomfortable situations. Whether it’s a pesky roommate, a tropical disease, or just plain homesickness, you must be ready to confront these circumstances positively and jump back into the game. FYI: you’re a nomad, not a hermit. Traveling will mean you will get exposed to different people from various cultures, educational backgrounds, and religious (or non-religious) affiliations. It takes a level of savviness to navigate through the jungle that is social interactions. If you’d rather keep to yourself, then perhaps you’d be better off staying home and locking yourself up in your room. The temptation of shirking work so you can play all day is all too present as a digital nomad. Without a boss hanging around, who’s to stop you from jumping in the pool and sipping margaritas all day? This lifestyle demands that you be responsible not just to yourself, but also to the people who rely on you, waiting for you to send those deliverables you promised to email first thing in the morning. It’s not enough that you fulfill the bare minimum of a given task. You have to step out of your comfort zone and do more than what is needed, when the situation calls for it. You must take charge and anticipate upcoming needs or problems, and have a proper plan should difficulties arise in the future. Remember: forewarned is forearmed! Do you possess all the traits above? 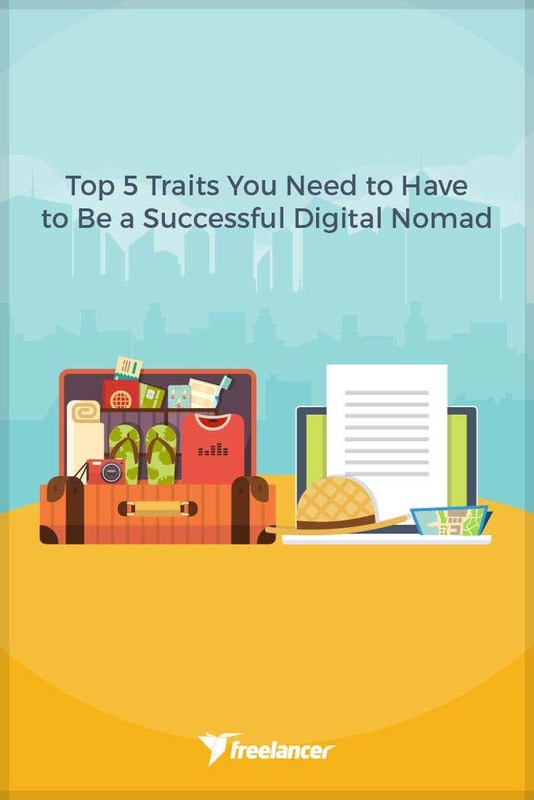 Then pack your bags: the world is yours, you awesome digital nomad. Find projects you can work on as you go on your great journey.